Today am here with yet another traditional Malabar recipe with prawns, raw mango, and drumstick. 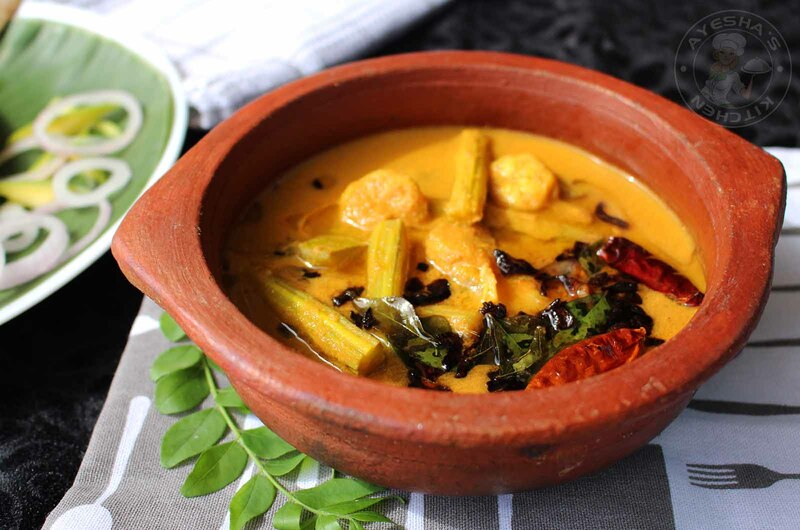 In Malabar region, this curry recipe is well known for its taste. It is known as pachamanga chemmeen muringakka curry (raw mango prawn drumstick curry). Kerala, the south Indian state is very famous for its non-vegetarian dishes. 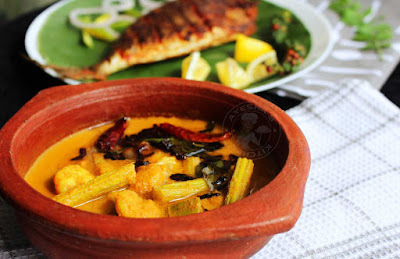 Some fish recipes or seafood recipes like karimeen pollichath, kudampuli meen curry, pachamanga chemmeen curry, njandu roast, kallumakkaya ularthiyath, meen peera are very popular around the world. Here am going to share a special Kerala dish with shrimps or prawns. Normally tiny prawns are used for this yummy recipe. Here I made this delicious chemmeen curry with medium sized prawns only. Raw mango (panchamanga) is added to this curry for the sourness that tastes really tempting. But if it is unavailable, you can also add kudampuli or tamarind instead. Moreover, drumstick or moringakka gives a special taste and flavor to this curry. Hope you all give this prawns curry a try. So let's see how to make prawns curry with the drumstick and raw mango / chemmeen pachamanga muringakka curry. Enjoy. 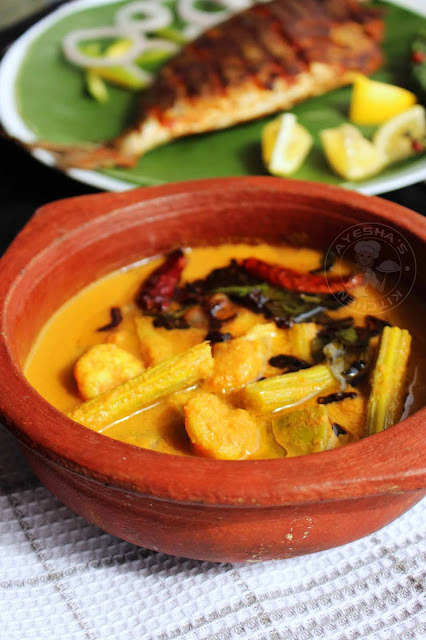 Cook the prawns, chopped raw mango (pachamanga), turmeric powder (half tsp) in a clay pot or deep bottomed vessel along with half a cup of water. Cook for 5 minutes over a medium flame. To this, add moringakka (drumstick) and salt. Cook for another 5 minutes over a medium flame. (Add extra water if required for cooking drumstick). Meanwhile grind together all the ingredients given under ' to grind' along with half a cup of water. Grind it to a smooth paste. Now add this ground coconut paste to the prepared gravy (chemmeen moringakka gravy) and mix well. Check for salt. Cook until the oil floats on the top over a medium flame or until the drumstick and prawns are done. Remove from flame. Heat a pan with oil. Fry chopped shallots, dried red chilies, and curry leaves. When done, pour it over this prepared curry. Close it with a lid. Serve after 15 minutes for the best result. This curry tastes delicious when served along with hot steamed rice.